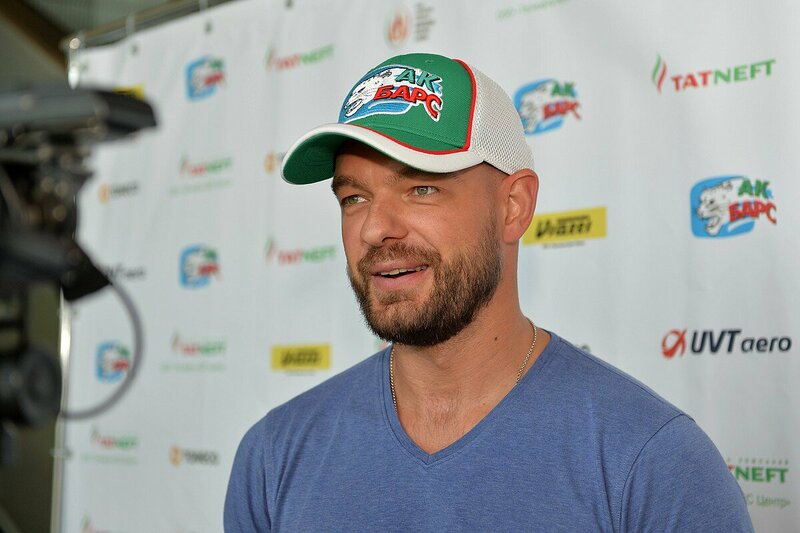 Andrei Markov’s high-profile move to Ak Bars brings one of Russia’s most experienced players back to the KHL – but, at the age of 38, what will he offer the Kazan team in the coming season? The first, and most notable, thing about the Markov trade is that this isn’t merely a player at the end of his career looking for one last signing-on fee. Although Markov is now in his late 30s, and brings 16 years of NHL experience, there was no evidence that his powers were in decline last season in Montreal. He suited up 62 times for the Canadiens, producing 36 points and averaging almost 16:30 on the ice each night. Those aren’t the numbers of a player winding down; they’re consistent with his last few years of activity for the Habs. And this in a league where lack of skating speed can be ruthlessly exposed. It suggests that this is a player who can eat the minutes of a younger man. Bottom line, Markov’s deep hockey sense and playmaking are still very much at an elite level while his fitness remains intact. That combination promises to make him an asset to any defensive unit. After losing out in the 2015 Gagarin Cup final, Ak Bars began a restructuring of the team. Long-serving stalwarts, guys like Ilya Nikulin, Evgeny Medvedev, Konstantin Korneyev and Konstantin Koltsov, moved on to leave a roster rich in talent but lacking in big-game experience. Ak Bars looked a bit green, and not just because of their jerseys. This summer has brought a clear attempt to remedy that and bring in a ‘been there, done that’ player. Danis Zaripov was due to provide that big-game know-how, but circumstances left that plan in tatters. Markov, despite fulfilling a very different role on the ice, brings the same level of knowledge to the locker room. When the season gets to the business end, when playoff passions rage, having a calming, stabilizing presence on the roster can be the difference between victory and defeat. Some were surprised that Markov, a product of the Voskresensk school and a player whose entire career in Russian hockey was played in and around Moscow, opted for a move to Tatarstan. Even his lock-out posting in 2012-13 took him to Vityaz, rather than one of the powerhouses of the East. The Eastern Conference is unfamiliar territory for him. But Zinetula Bilyaletdinov is anything but unfamiliar. Coach Bill brought a young Markov to Dynamo Moscow in 1998. During those two seasons, which brought silver then gold in the Russian Super League, he nurtured the defenseman’s talents. And, when Markov was unveiled in Kazan earlier this week, he highlighted the importance of reuniting with his old mentor. The last time Markov worked with Bilyaletdinov was on Russia’s 2014 Olympic roster. With the PyeongChang games looming on the horizon, many anticipate that the D-man will be a lock for Oleg Znarok’s team in Korea. Markov’s international opportunities have been limited during his time in Canada – his last World Championship engagement was back in 2008 – but that didn’t keep him out of the World Cup of Hockey a year ago. His huge experience means he can offer plenty at Olympic level, especially in a tournament set to be bereft of NHL players. But the man himself is focused, first and foremost, on adapting to the Russian game – and its bigger ice – again, recognizing that the KHL presents a significant and ever-improving challenge of its own. “We’re seeing more and more players from North America come into the KHL,” he said. “The quality is increasing and it’s going to be an interesting season. It’s possible that I’ll need a bit of time to get used to the rinks here, but, having said that, I grew up playing on them.